Time for third and best installment of the Forza series: the BMW 2002 Turbo. Take a breath, count backwards from ten, feel better now? I know you think its the Silvia, but here’s why I picked the BMW. 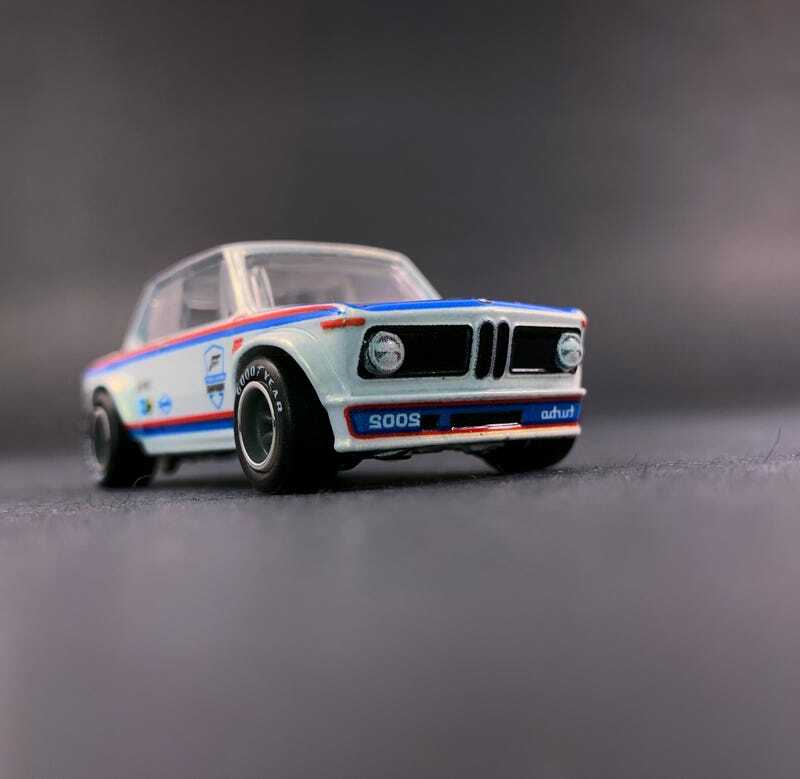 There are only two truly iconic automobiles in this series: the Mini, and this BMW. Pretend JDM hype doesn’t exist. The AMC is too obscure and the Huracan is the supercar flavor of the week. The 2002 put BMW on the map, and the Turbo put them on the top of the charts. It made turbocharging cars cool again. You already know my thoughts on the Mini casting. Introduced in 2012, this Hot Wheels casting has been released in multiple variations and was previously given the premium treatment with the Heritage Real Riders series. However, up until now the car was always lacking something it so desperately needed: front tampos. Customizers have been painting in the space along the kidneys since day one, but nothing beats a factory finish. Add the fact that the Hot Wheels dream team included the legendary mirrored “Turbo 2002" graphics on the lip spoiler, and you’ll see why this one takes the cake. The paint job is also in iconic white with BMW ///M colors enhancing the car’s lines. The minilite Real Riders are the only choice, plus we get white “Good Year” tire lettering like we did on the Rebel. Many of you commented that the tires were the Rebel’s best feature. Around the back we find more tampos, bumper, and gas cap. The only ding this car gets is that the Turbo was not a “roundie” meaning it had the 2002's square taillights, never the round ones we see on this casting.